Glenview Coin & Collectibles buys and sells gold, silver, coins, jewelry, memorabilia and more. If you are looking to sell your unwanted jewelry, coins or paper money, pieces from your stamp collection, or collectible memorabilia, our team of experts will provide a complimentary evaluation. We are confident that we will get you the best price for your valuables. Moreover, our merchandise is always changing, so you’ll want to keep coming back to see what new items we have to discover! 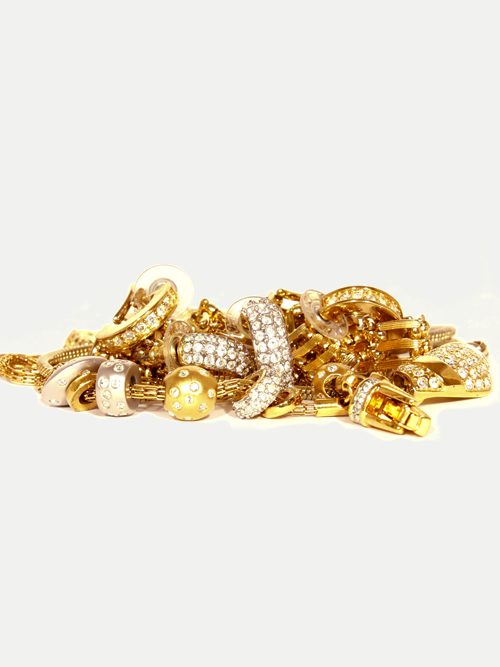 Perhaps you have old, broken, or unwanted jewelry taking up space and collecting dust. Bring it to Glenview Coin & Collectibles for a free evaluation. We can give you cash on the spot! Not only do we buy gold and silver jewelry, but we also buy gold coins, bullion, paper currency, and all types of sterling silver. Don’t let that old tea set take up any more space. Bring it in and sell it for cash! Have you been searching for the missing piece to your coin or stamp collection? We can help you find it! Our trained numismatists and philatelists can not only evaluate your collection, but also locate the crown jewel of your collection. 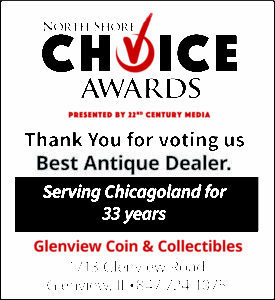 Glenview Coin & Collectibles is Chicago North Shore’s best place to find quality memorabilia at unbeatable prices. Peruse our selection of wartime antiques such as uniforms, watches, medals, military jackets and more! Furthermore, we will evaluate and buy your memorabilia. Since 1984 our family has proudly provided Chicago and the entire North Shore with a trustworthy outlet for amateurs and professionals alike to buy and sell coins, jewelry, and collectibles. Conveniently located in Glenview, we also serve Chicago’s North Shore communities of Winnetka, Wilmette, Skokie, Northbrook and beyond. Let our experts treat you the way you treat your pieces and collectibles. You will receive fair prices only a family business can provide. 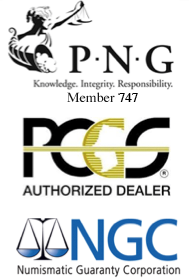 We are authorized PCGS, NGC, and PMG certification dealers. John Kozicki is a GIA graduate. He is GIA certified which allows him to grade diamonds and gemstones professionally. We are a member of ICTA, ANA, CoinNet, the Northbrook Chamber of Commerce and the Glenview Chamber of Commerce. 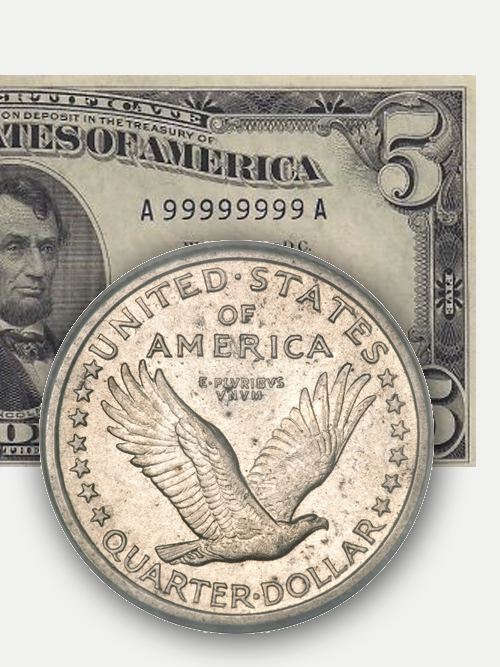 Glenview Coin & Collectibles can help you determine the true value of your, paper currency or coin collection. Our certified dealers are here to work with you every step of the way. 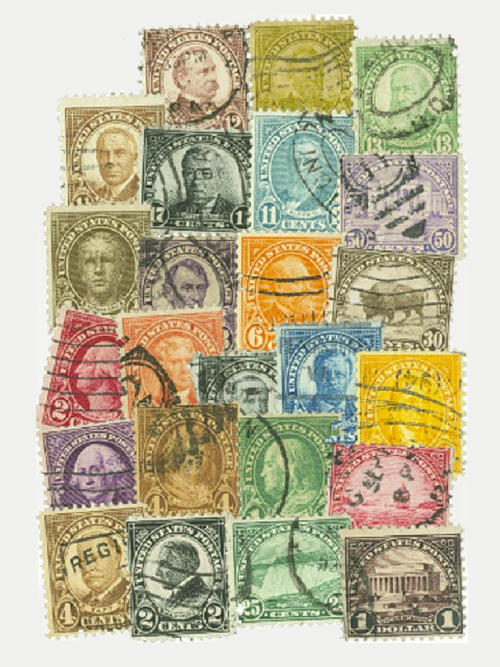 Whether you are a hobbyist or a serious philatelist, Glenview Coin & Collectibles knows the value of your stamps. Sell your stamps or find the perfect piece for your collection! Glenview Coin & Collectibles is happy to assist you the buying and selling your memorabilia. 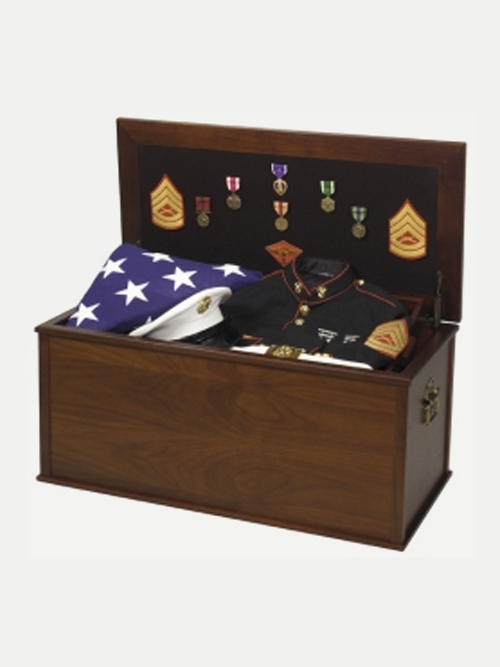 From military and wartime antiques to sports memorabilia, we offer the best value for any of your items. If you have broken, outdated, or unwanted jewelry, Glenview Coin & Collectibles Inc will evaluate your items and give you cash on the spot. Shop our huge collection of fine jewelry!